There are lots of dental dog treats out on the market these days. We've tried a few. When Chewy.com asked if we'd like to try the new Merrick Big Brush Bones Grain-Free Dental Chews Dog Treats we said: yes! Merrick Dental Chews are all-natural dental chews to clean dogs' teeth and freshen breath, all in a tasty and digestible treat. 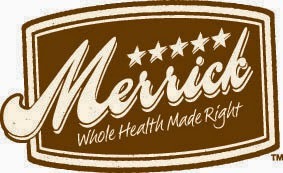 Merrick Dental Chews are grain-free and gluten free. Made in the US with no ingredients from China. An 11.7 oz bag of 10 bones is $12.99 at Chewy.com. Rosie was eager to give a Merrick Dental Chew a try. 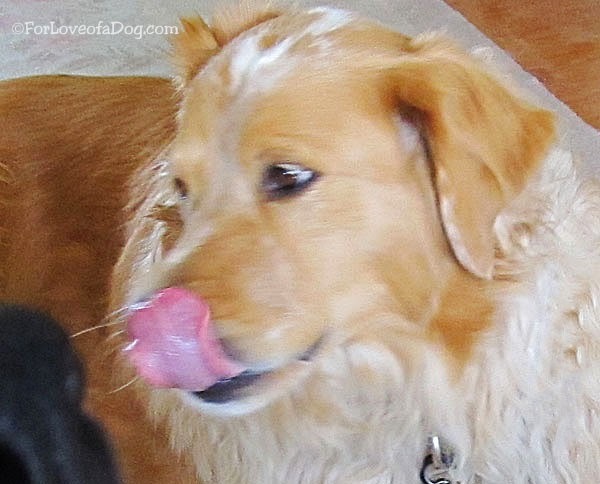 Though we haven't used them long enough to report any reduction of plaque or other dental improvements, the dogs did thoroughly enjoy giving them a good taste test. When I opened the bag, I was not keen on the odor. However, the individual dog bone shaped chews smelled faintly like alfalfa to me (which is an odor I enjoy.) 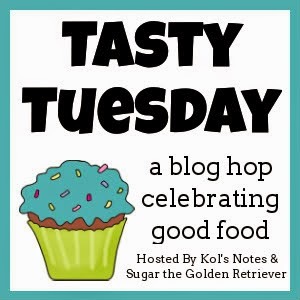 The dogs had no hesitation; the treats smelled pawsome to them! Rudy politely waits his turn to try a Merrick Dental Chew. I liked the size of these chews for my three big dogs. 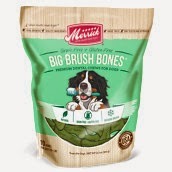 I also appreciate that Merrick Big Brush Bones Dental Chews are all natural, grain free, and made in the US from US sourced ingredients. 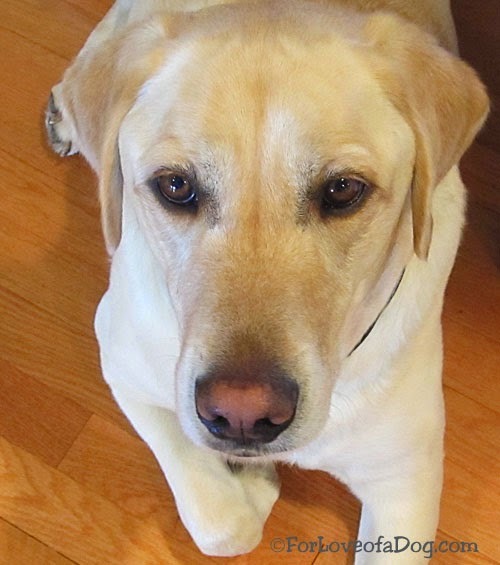 Those dog lovers whose pets cannot tolerate gluten will like the fact that they are gluten free. Merrick pet food and treat recipes use USDA inspected deboned meat and fresh produce for industry-leading levels of protein, glucosamine and chondroitin. Merrick never imports ingredients from China. All their food is handcrafted in their Hereford, Texas kitchen with ingredients from farmers they know and trust. In 2012 Merrick earned organic certification under the USDA National Organic Program for all of their Texas based manufacturing facilities. Final verdict: Lip smacking good! 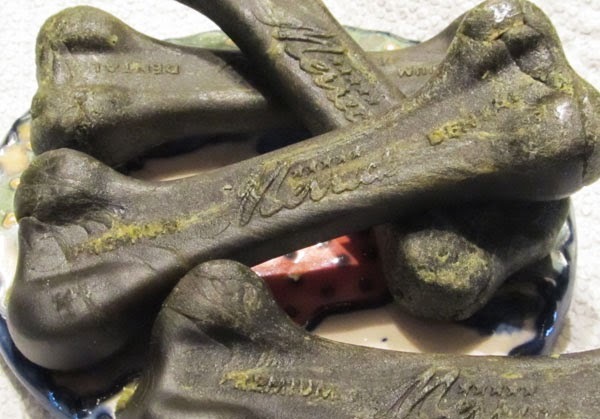 * We received one package of Merrick Big Brushy Bones Dental Chews from Chewy.com in exchange for our honest review of the product and service. We received no other compensation - financial or otherwise. Sounds like a great product to try. I LOVE the Merrick dental chews! And Ma says she never noticed an odd odor...I think now she is going to smell them. BOL Chewy.com is a great place to shop for your pets. 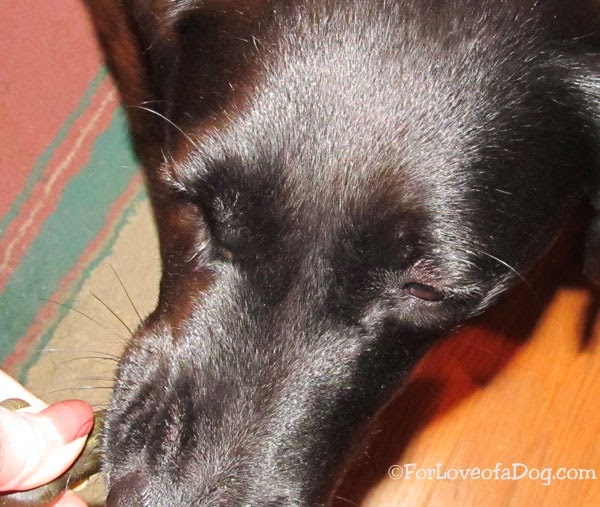 We have placing a monthly order for my freeze-dried food and it works out really well. Merrick sure makes some darn good stuff! We love Merrick products and thought about reviewing these, but Mom had the nerve to say we have enough snacks right now, so I guess we will be getting a toy which Bailie will most likely have to review. Good to know you like the chews, lip smacking good I guess. Hmm...we have never tried these before! I think my huskies would love them! We didn't know Merrick's had these - we love this bones...will have to check them out. Had no idea Merrick carried these. A good brand so we will have to check them out. Definately looks like your gang enjoyed them!